Born and raised in suburban Detroit, Matt Patton is the Midwest Public Policy Manager at Lyft, the ridesharing company. He has a passion for service and policy solutions that intersect with technology in a way that improves people’s lives. Previously, he served as a Legislative Director in the Michigan State Senate where he managed several policy and budget areas. Among those were managing the Department of Licensing and Regulatory Affairs budget and negotiating components of the current ridesharing and autonomous vehicle testing law in Michigan. 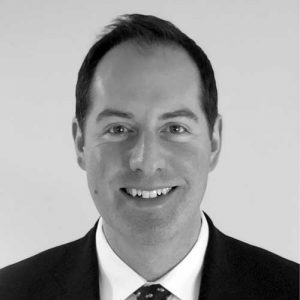 This work led him to his present position at Lyft, where he manages a wide range of public policy issues in various markets across the midwest and Canada, negotiating with elected officials, forging relationships with third party stakeholders and speaking on behalf of the company. He received his undergraduate degree from Michigan State University, has been a traveling advisor to two presidential candidates, and served in a United States Navy F-14 Tomcat squadron during Operation Enduring Freedom. In his free time, Mr. Patton is an avid fly-fisherman and has been a volunteer guide for non-profits who introduce fly fishing to wounded veterans and has trained veterans on making the transition from military to civilian life.